With no idea of why I made this, I present to you a tool - "Comic Strip Layouts with a Story Line Generator". Not generator as in random words magically appear, but generator as in - You type something and your words appear on the comic strip template in a nice looking comic strip font (see image below). Be sure to read the How to page if you have trouble printing. You want to print comic strip templates. You know what you want to type on the templates. Choose the comic templates - you can work on more than one at a time. Below is an image of your choices. There are 15 templates in this area spread over 3 pages. The Templates are Linked Further Down, please continue reading the steps. Type into the fields. Please know that the optimal length for each line is around 96 characters, more or less. The actual best length depends on how wide the characters are, so there is no real way to determine just how many characters that one should type. The fields allow more characters than 96 just in case you need to type in a bunch of spaces. SO- if your text is cut off, return to the text fields and edit them. When you are happy with the template output, print it. 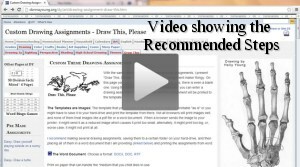 If it doesn't print well, there is a simple solution - Save the image and drop it into the word processor file that I have linked on the pages. Please read How To Use Generator and view the video if you need more details. The "How to Use" page presents additional steps to insure good printing and requires the use of the word processor file that you might noticed linked on the pages. If you are ready to start - View the Templates and make your choices. The Templates that are Generated are Images: The template that you receive is an image and it might print well "as is" or you might have to save it to your hard-drive and print the template from there. Not all browsers will print images well, and none of them treat images like a PDF file or a word document. When a browser sends the image to your printer, it might send it as a reduced image which causes it print too small, alternately, it might print too big, or it might not print at all. If the generated templates do not print well from your browser, please visit the How To Use Generator page and read it instead of asking me for help. The Recommended Steps are listed at How To Use Generator and I also made a video showing the recommended steps. PLEASE NOTE- The video is for the Draw This Generators BUT the steps are the same for these generators. The video is around 33MB. If your screen is small, be sure to watch the video at full size for best results. The templates are spread over 3 pages. If the templates do not print well, please read the Recommended Steps. The links below will take you directly to the template's form fields.